Shards React features a minimal footprint and is highly optimized for blazing-fast performance. Every component in Shards React is properly documented for a smooth developer experience. Shards React is built from scratch while following modern development best practices. 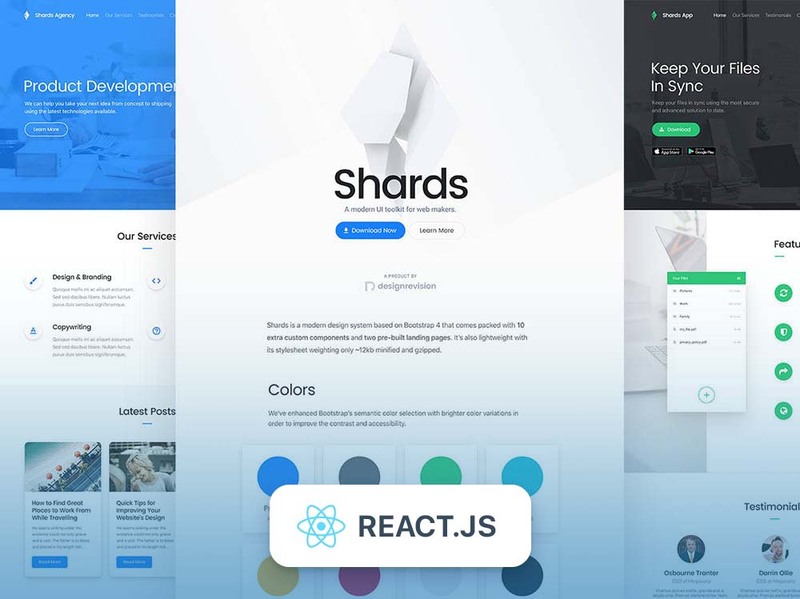 The React version of Shards is featuring the same modern design system that makes Shards special so you can impress your users with smooth micro-interactions and a beautiful overall user experience. Shards React is open source on GitHub and available as an NPM package. However, you can also download it here and access the original core files so you can get your hands dirty and extend the kit to fit your own needs. Shards React provides support for the Material and Fontawesome icon packs. It also comes packed with all the custom components available in Shards, including datepickers, range sliders, toggle inputs and more.